26 players, four opponents, eight matches, 720 minutes, 21 goals, one feeling. 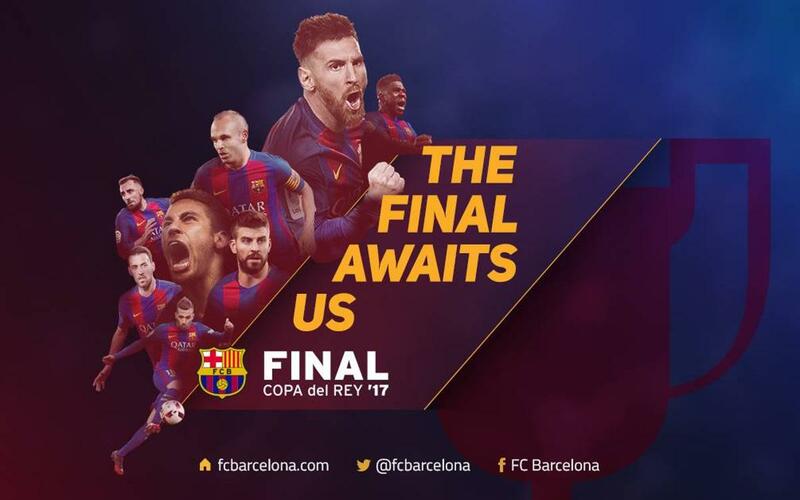 Here is the promotional video ahead of Saturday’s final, where FC Barcelona are looking to secure their third consecutive cup Copa del Rey title. En route to the final, Barça’s opponents Alavés eliminated Gimnàstic de Tarragona, Deportivo La Coruña, Alcorcón and Celta Vigo, while Luis Enrique’s men knocked out Hércules, Athletic Club, Real Sociedad and Atlético Madrid. On Saturday, however, there can only be one winner.